Candela di Fuoco, fire candle. 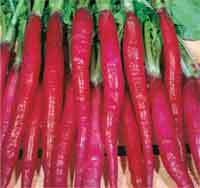 Top quality Italian heirloom radish, long tapering red coloured roots with white flesh and very little woodiness. Very early and very quick can be sown practically 12 months of the year and easy to grow. 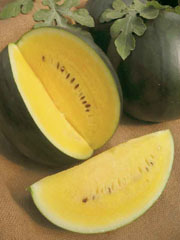 Excellent holding ability with strong vigorous growth and leafy. Tangy piquante taste both to the roots and leaves.